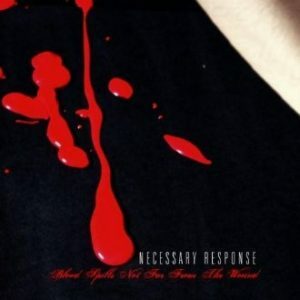 ‘Blood Spills Not Far From the Wound’ was an album released in 2007 by NECESSARY RESPONSE, a pseudonym adopted by Daniel Graves of AESTHETIC PERFECTION when they were certainly a different sounding beast to the one they are now. Opening piece ‘Spilling Blood’ is intriguing in that in certain respects it musically templates what was to eventually become the next AESTHETIC PERFECTION album ‘A Violent Emotion’. A far more typical industrial sound, with big distorted 909 kicks, filtered sawtooth synths and a triplet Schaffel feel. What differentiates it from what was to come AP-wise (and say a typical COMBICHRIST song from the era) is the lead vocal, itself very melodic with a vocoder ghosting underneath it to give it more of an edge. The song starts with a mid-range voice announcing “Every living creature on earth dies alone” with other less discernible snippets of film dialogue following. The song’s chorus is big and anthemic with the “She says she’s never been so alone, don’t you care about me?” lyrical hook providing a real emotional twist to what is a very hard-edged machine-driven track. ‘Forever’ sets the template for much of the album, both musically and vocally. It is a very melodic 4/4 piece with hypnotic synth and haunting choral introduction lines, but with an overlong instrumental bridge and a musically underdeveloped chorus which doesn’t quite do the songwriting justice. ‘Forever’ could be interpreted as being written from the perspective of a touring musician trying to come to terms with commitment and being able to maintain a faithful relationship, with lyrics which talk about spending “our whole life together” but not “knowing how it’s done”. ‘Vapor’ is one of the standout songs on the album. Lyrically it details a fleeting and potentially doomed romantic liaison set against monophonic synth riffs which wouldn’t be out of place on the debut DEPECHE MODE and YAZOO albums. The main drawback to ‘Vapor’ is its length; a three and a half minute edit would be perfect for a traditional synthpop song of this ilk. But stretching it out to nearly six means that a lot of the track’s emotional impact becomes lost, especially when another repeated chorus appears around about the five minute mark! The former recalls NINE INCH NAILS lyrically, whereas the latter comes across as a Dystopian sci-fi theme with filter swept ‘Man Machine’ style bass synths counterpointing the intricate stuttering of the main elements. After a detached Apple-style robotic voice repeats “this distance is breaking me apart” in the middle eight, a deep Reese / detuned sawtooth bass adds to the overall menace before the lone computerised voice appropriately breaks down at the end. 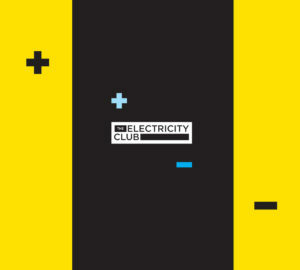 Both pieces flirt with the Glitch genre and feature cut-up slices, helping to differentiate the songs from just being standard synth-pop compositions. ‘Devotion’, the album closer starts with looped found sounds combined with a low droning bass, ominous piano and strings. The song itself has Depeche DNA at its heart, but again the glitched components of the chorus help set it apart from something that Basildon’s finest would produce. An overlong drum-less middle section hampers the momentum of the track to a degree, but the chorus returns back at the end to lift the piece. What was the main reason to step away from AESTHETIC PERFECTION to record and release ‘Blood Spills…’? I was forced to! At the time, the powers that be insisted that AESTHETIC PERFECTION be a strictly aggrotech act. 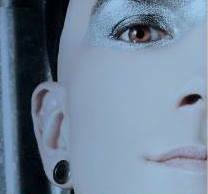 The original cut of ‘Close to Human’ contained ‘Tomorrow’, ‘Forever’ and ‘Elements’, and even though the labels liked those songs, they said I’d have to create a new project if I ever wanted to release them. I was young and eager to make people happy, so I did it. Ever since then, the goal was to slowly lead AESTHETIC PERFECTION towards what it was supposed to be from the beginning: A dynamic expression of all ranges of emotion. Initially you went to quite a lot of effort to keep the identity and source of the act secret, including the creation of a fake MySpace located in Sweden, why was that? I wanted the music to speak for itself. I had hoped NECESSARY RESPONSE would garner attention because the songs were good, not because they were made by “the guy from AESTHETIC PERFECTION”. Ironically though, the album was a total flop, so in hindsight I should have exploited everything I had! As NECESSARY RESPONSE, you toured as support for DE/VISION, how was that experience? At the time it was the longest tour I had ever done. Don’t forget, this is about a year before ‘A Violent Emotion’ came out, so AESTHETIC PERFECTION hadn’t done any significant amount of touring yet. The response was positive, but it still wasn’t enough to get the project off its feet. I think this album, more than anything else I’ve done, was the slowest burn. People didn’t take notice of it until after AESTHETIC PERFECTION got more popular. I’ve always been partial to “Emo Body Music”. Not only because it contains the word “emo” which receives an automatic knee-jerk reaction from anyone in the Goth scene, but it pairs it with the oh-so-sacred EBM acronym to really drag the nails across the chalkboard. If you want me to be honest, I’ve always thought of my music as “dark electro”, but that’s way less fun sounding. 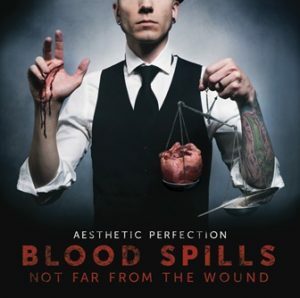 I’ve always found it funny that people associate ‘Blood Spills Not Far From the Wound’ with being sincere, open and honest and not the other AESTHETIC PERFECTION albums. Lyrically, I don’t see how ‘Sacrifice’ is any different from ‘Dying in the Worst Way’. All of my music is deeply personal. I don’t know how to write lyrics that aren’t. 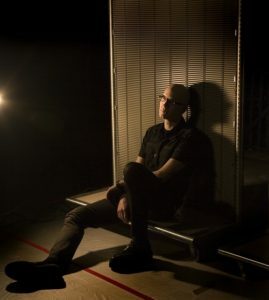 On many AESTHETIC PERFECTION songs, you often come across as a larger than life persona… NECESSARY RESPONSE feels like it could be the ‘real’ Daniel Graves…..
None of what you see is the “real” me. Although, the “real” me just wants to be “Daniel Graves”. It’s two sides of the same coin. I can promise you that there was just as much performance in the NECESSARY RESPONSE days as there is now. I wasn’t as good at it then, though. I’ve improved over the last eight years! It’s important for me that the listener interprets the song for themselves. My songs mean to me what they mean to me, and they mean to you what they mean to you. The opening instrumental ‘Intro’ is reminiscent of a lost ‘Protection’-era MASSIVE ATTACK track, are you fan? Nope! I absolutely hate MASSIVE ATTACK and trip hop in general! ‘Forever’, along with other tracks on the album, include some cut-up, glitchy elements, was there anybody that particularly inspired you to incorporate these? I used to be huge into IDM and GRIDLOCK. They inspired the instrumentals on ‘Close to Human’ and ‘Blood Spills Not Far From the Wound’. You’ll notice though, that around 2007 I lost interest in the style and those types of songs stopped appearing on my albums! Did you use the LiveCut plug-in to help program the glitches? I’ve never heard of the LiveCut plug-in. I did everything manually! An AESTHETIC PERFECTION trademark is the use of dialogue samples and snippets, did you add these afterwards or did they start as springboards for song ideas? Samples almost always come at the end. I think of them as the icing on the cake rather than the batter. They’re all very personal, but I’d say this one was definitely less vague than the others. I think the narrative is very plainly laid out for the listener. It’s definitely one of my favourite songs, but it didn’t need to be six minutes long! I wish they had. I absolutely despise long songs now. Anything over four and a half minutes had better be some ‘Bohemian Rhapsody’ rock opera epic-ness. The album has a very clean and clear vocal production – what is your opinion on Industrial acts that treat their vocals almost as an afterthought to the music? The human voice is the most unique and expressive instrument we have. No two are alike, why would you want to hide it in effects? Bring it all to the front. Don’t fear criticism. Own your flaws. Do whatever you need to do, but vocals are NOT an afterthought, they are the anchor. Most of this record is an Access Virus B, a Nord Lead 2 and recorded in Logic with various softsynths. I’ve always tried to keep my set-up as small as possible. I find too much gear gets confusing, and you never truly learn the ins and outs of what you have. These days, the Nord and Virus collect dust as recording actual synths is totally impractical, but I like to bring them out every now and again. The album ‘Blood Spills…’ has an almost minimal / monophonic KRAFTWERK-style aesthetic to it, are you proud of it in hindsight? I get the worst idiot shivers when I hear the production on that record. It’s so NOT up to par. Even in 2007, it didn’t sound like a well-produced record. What I’m proud of are the songs, I think people like the record in spite of the production and not because of it. To be fair, though, I’m an artist and I hate almost everything I do. I have no objectivity, I have no perspective. I’m grateful that people like that record. Almost all artists are unhappy with their previous work. That’s the motivation to continue on and make something new, to learn from your mistakes and grow. If you believe you’ve made the perfect album, where else is there to go? I think the original version of that album sounded horrific. Those songs deserved better than that! It’s not an “AESTHETIC PERFECTION” version of the album. This record should have ALWAYS been under the AP moniker. This is me taking my album back and releasing it on my own terms. Sure, I spit-shined the production and redid the vocals, but it’s very much the same. Most of what you’ll hear are from the original recordings. I tried my best to avoid George Lucas-ing the record… believe me, it was hard! 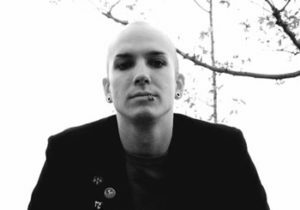 Finally, and according to Wikipedia, “….on September 13, 2012, Daniel Graves posted on the official AESTHETIC PERFECTION Facebook page that “I wish there was a way to telepathically project, to everyone, that NECESSARY RESPONSE is dead, buried, and will not return… ever” – Any comments? Does Wikipedia say that? I don’t remember if I ever said that, but it sounds like something I’d say! Look, I love the fact that people like that album, I like it too, but there is no need for NECESSARY RESPONSE to exist. It’s frustrating that no matter how many times I explain that NECESSARY RESPONSE is just a name, and that if I were to ever make another album in that style again, it would be released as AESTHETIC PERFECTION. Funny enough, I approached ‘Til Death’ as if I were writing a follow up to ‘Blood Spills Not Far From the Wound’… I tell people that, and they still don’t get it. Whatever, you can’t please all the people, all the time!